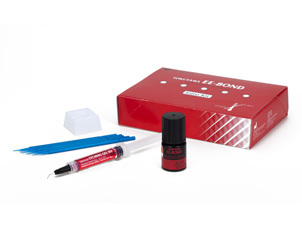 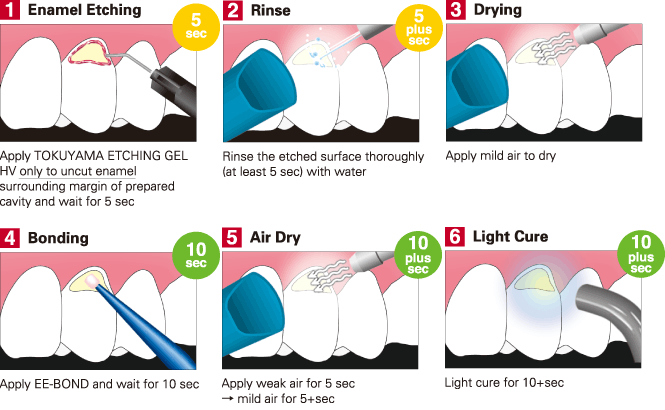 TOKUYAMA® EE-BOND is a dental adhesive system formulated for the enamel-etching technique. 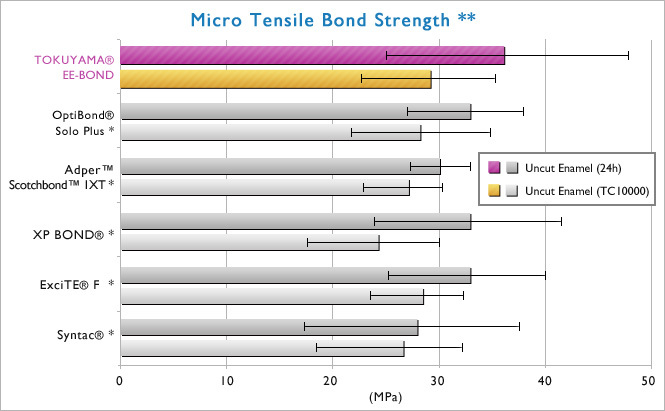 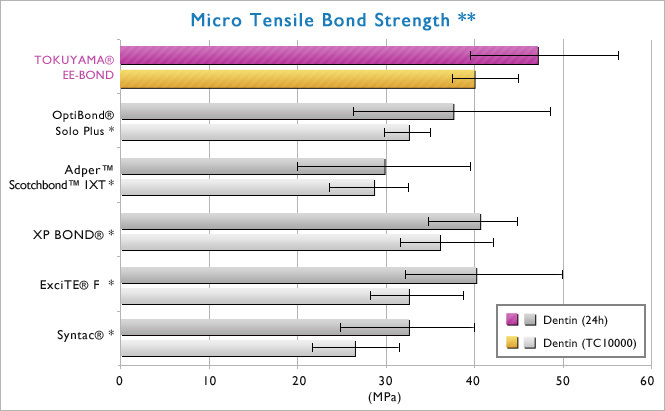 Utilizing Tokuyama's 3D self-reinforcing (SR) monomer, TOKUYAMA® EE-BOND chemically bonds to both enamel and dentin forming a durable 3D matrix bonding layer. 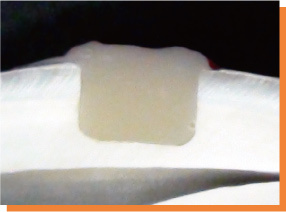 This thin but durable bonding layer offers long-term marginal integrity of the esthetic restoration as well as exceptional dentinal sealing.